and all children who are not registered in a Catholic school should be attend to this program. They will receive First Communion on 2nd grade and Confirmation on 8th grade. 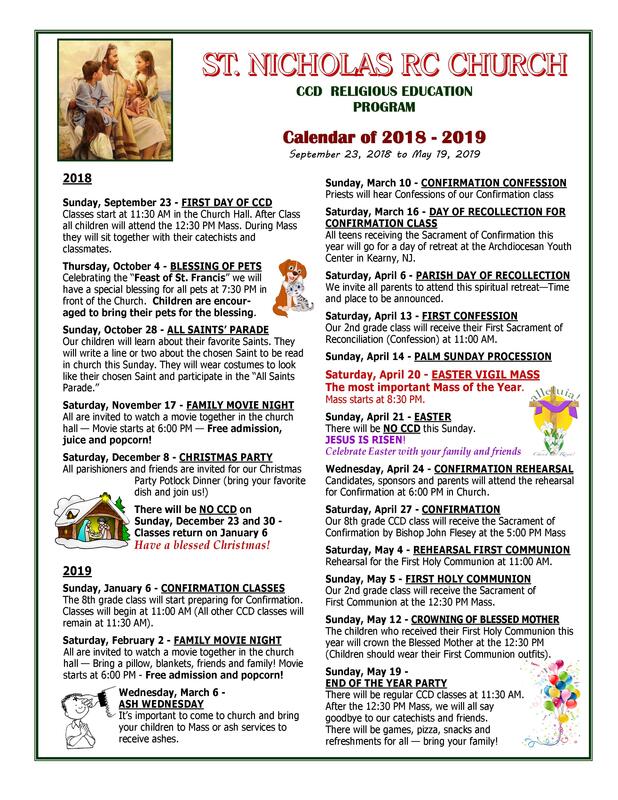 Please register your child/children to the CCD 2017-2018 program – Bring a copy of the child’s Birth Certificate, Baptismal Certificate, First Communion and Penance Certificates (when it applies). In case the child has been attending CCD in another parish, please provide documentation of his/her attendance as well. Our Catechists are faithful volunteer parishioners who are well prepared to teach religious education. The Catechists attend workshops and seminars annually. They also attend the “Protecting God’s Children” program, as required by the Archdiocese of Newark. Deacon Thomas La Russa – D.R.E. signed and sealed by his/her registered parish.